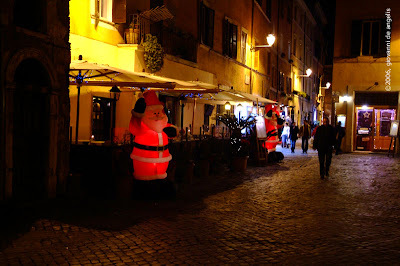 Piazza della Scala in Trastevere district during christmas time is really romantic in the night. 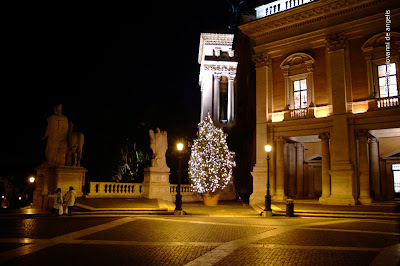 Piazza della Scala a Trastevere è molto romantica durante la notte in questi giorni di festa. Here an image of the beautiful nativity in papier mache from Frattuccia close to Amelia . It is a tribute to the artist Irene Giampietro who creates hundreds of traditional characters with paper and all hand-made. They populate an extraordinary presepe in the big garden of her house and thausands of visitors come to see it. Qui un immagine della bella natività in carta pesta dal presepe di Frattuccia vicino Amelia. Un tributo alla grande artista Irene Giampietro creatrice di centinaia di personaggi interamente fatti e dipinti a mano con carta pesta . 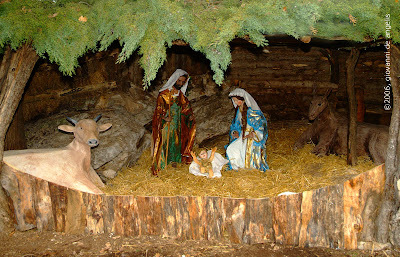 Sono i pastori di un gigantesco presepe creato nel bellissimo giardino della sua casa che viene aperto al pubblico in occasione del natale per regalare alla comunità ed al paese tutto una emozionante riproduzione del presepe tradizionale . 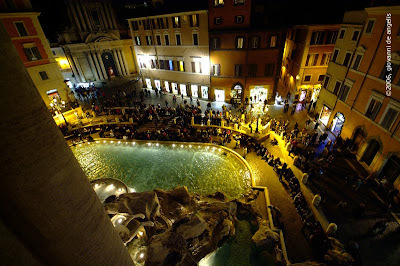 Fontana di trevi from the top of Trevi building! 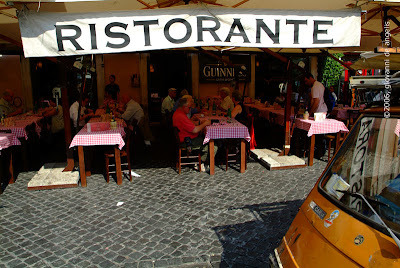 Caratteristic "Ristorante" in Campo dei Fiori ! 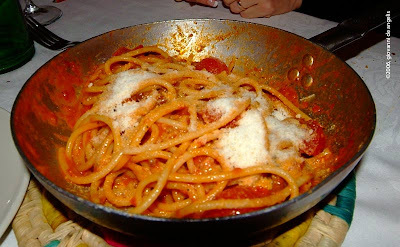 have a good "amatriciana"!!!!! 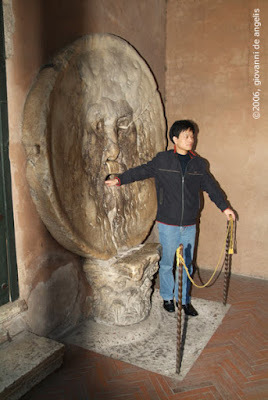 La Bocca della Verità (The Mouth of Truth) is a famous sculpted image of a human face in Rome. 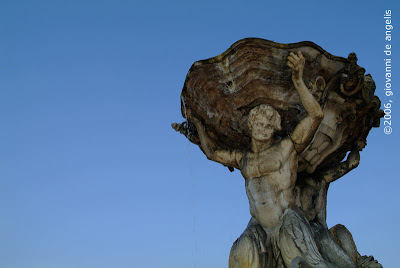 The sculpture is thought to be part of an ancient Roman fountain or perhaps a "manhole" cover, portraying a river god. The most famous characteristic of the Mouth, however, is its capability of acting as a lie detector. Starting from the Middle Ages, it was believed that if one told a lie with his hand in the mouth of the sculpture then it would be bitten off! 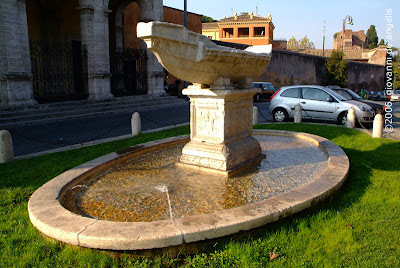 On the Celio hills in front of the church of Santa Maria in Dominica is the fountain known as the Navicella or small boat, probably from an idea by Sansovino in the early part of the 16th century . According to legend, a votive offering probably inspired the marble boat representing a Roman galley, by the sailors to Isis, the goddess protector of travellers. 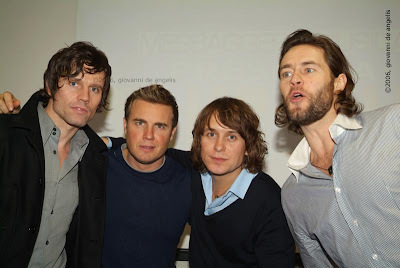 Rome Rome Rome ...today a sunny day !. 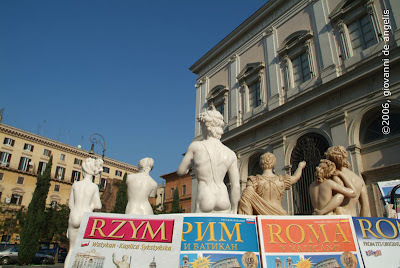 Here , Piazza S. Giovanni In Laterano and the little turistic statues watching Rome. 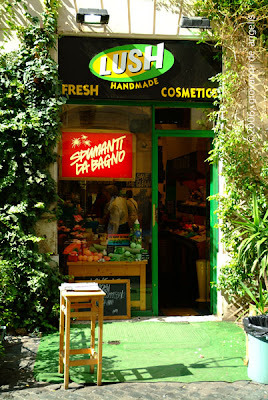 Roma Roma Roma ... Oggi una giornata di sole! . 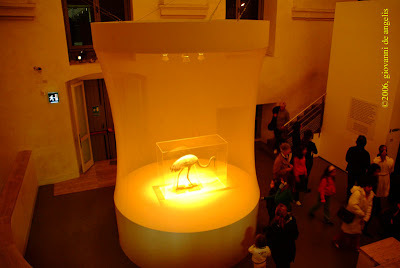 Qui un immagine a Piazza S. Giovani In Laterano una bancherella vende le statuette per turisti. 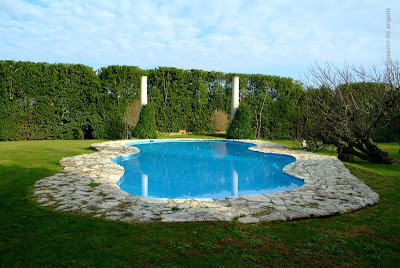 The beautiful swiming-pool in Villa "Monte Mario"